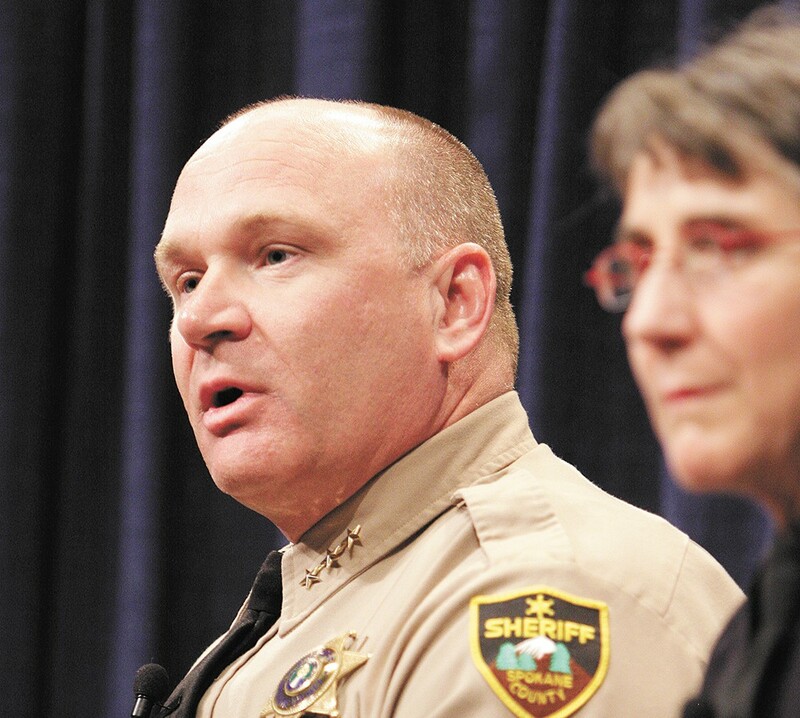 Spokane County Sheriff Ozzie Knezovich is worried about violent extremists in the Inland Northwest. Spokane County Sheriff Ozzie Knezovich is worried about VIOLENT EXTREMISTS, not police militarization, he told the crowd of over 300 mostly Republican community members gathered at Central Valley High School Monday night. While discussing the "myth" of police militarization, Knezovich acknowledged that his department has received used military equipment from the Department of Defense — including a Mine-Resistant Ambush Protected vehicle, three helicopters (one was broken) and 57 M16 rifles. He then reminded the audience of the "true threats" from white supremacist and Aryan nation groups that make it necessary for his agency to possess such equipment. Other groups that worry Knezovich include sovereign citizens, who he says are "willing to kill," and the Islamic State. The United Food & Commercial Workers' dream of UNIONIZING Washington state's pot industry is becoming a reality. The UFCW, which represents commercial food workers, has long had a foothold in California's medical marijuana market. When Washington state's recreational market opened for business last summer, the union saw an opportunity to begin organizing under the auspices of its Cannabis Workers Rising campaign. Earlier in June, UFCW Local 367, which represents workers in Tacoma and surrounding areas, announced that employees at the Cannabis Club Collective, a medical dispensary, approved the first-ever contract for cannabis workers in the state. According to a statement from the union, the three-year contract covers raises, health insurance, paid vacations, sick leave and pensions. With the state government facing the threat of shutdown, the Washington state House and Senate passed an OPERATING BUDGET late Monday night, with transportation and capital budgets on deck. Even compromises Republicans had to make — like a gas tax hike in the Senate transportation package — had silver linings. "I like roads, trucks and freedom," Baumgartner says. "We're going to get more of all of those." Much of the money outlined in the Senate's transportation package goes to Eastern Washington's projects, including a pedestrian bridge in Spokane's University District, the Spokane Transit Authority's Central City Line and the North-South freeway. In the operating budget, Rep. Marcus Riccelli celebrates $11 million in emergency food assistance, the restoration of $100 million for mental health programs, and the closure of several tax loopholes. Riccelli points to $1.3 billion into the education system, funding all-day kindergarten across the state, pay raises for teachers, and smaller class sizes in the early grades.